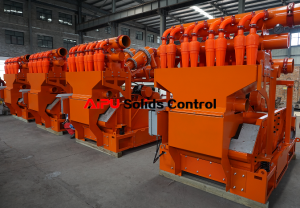 Mud cleaner is the second phase and third phase mud cleaning equipment in a solids control system. 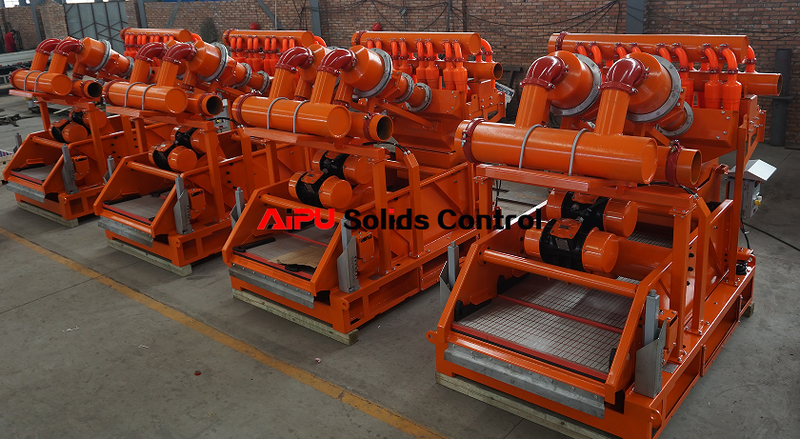 AIPU Solids Control is one of the leading manufacturer for solids control system as well as mud cleaner for separate equipment replacement. The mud cleaner contains a set of shale shaker, desander and desilter which name as 3 in 1. The cyclone size and quantity can be customized from 4” to 12”. The shaker screen can be composite material for longer working life and better working performance. 1 set of 4 panels screen shale shaker, the shaker deck vibrating G force ≤5, the deck angle can be adjust from -1° to 5°, shaker screen area 2.7 ㎡, the vibrating mode is linear motion. Painting of mud cleaner can be customized as per RAL no. The screen mesh install is 140 mesh to dry solids out of desander and desilter cyclone nozzle. 10” desander cone to separate sand particles 47-76 micron, the desander cone install on a frame with 8” pipeline for outlet and 6” pipeline for inlet. 4” desilter cone to separate silt particles 15-26 microns, the desilter cone install on a frame with 8” outlet pipeline and 6” inlet pipeline. Control panel will sit on shaker skid for on/off control with emergency stop switch. 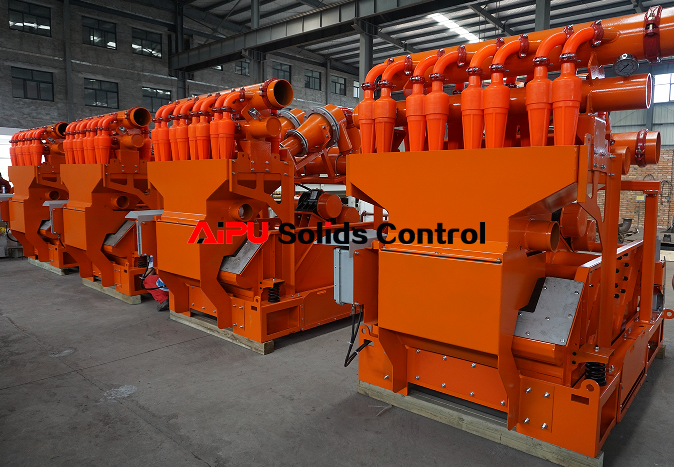 There are different size of mud cleaner for option from AIPU Solids Control, the size of mud cleaner will be fixed by size of shaker, size and quantity of desander cone, size and quantity of desilter cone. Other than mud cleaner (3 in 1), we supply separate desander with shaker and desilter with shaker also. It can be mini shaker or bigger shaker depending on budget and performance requirement. Please contact AIPU Solids Control for more information.